The hourglass, a symbol that speaks to the brevity of life, is often shown with wings to turn the metaphor into a striking visual representation. In this case, the hourglass is shown on the head of a winged cherub. The winged cherub was a symbol that became popular in the 18th Century. 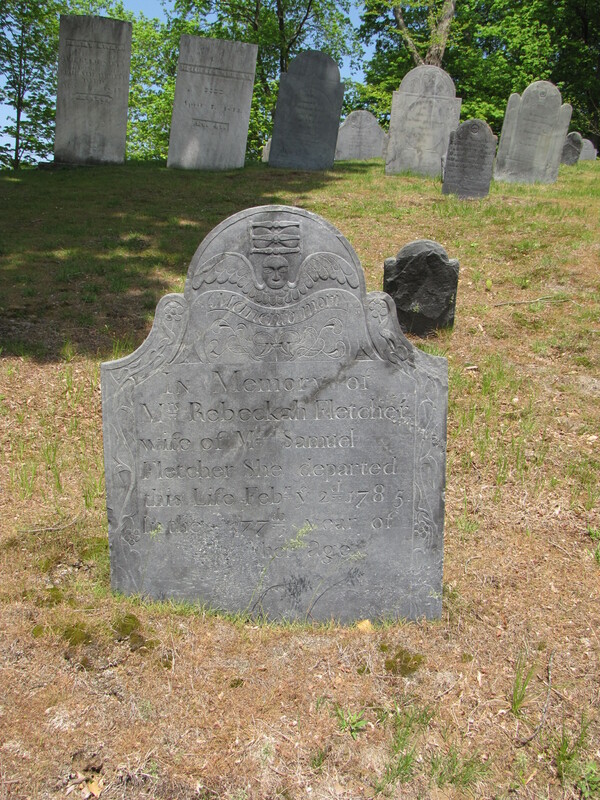 Winged cherubs replaced the stark and morbid flying death’s heads from our Puritan forefathers. The cherubs often have a childlike countenance of innocence. 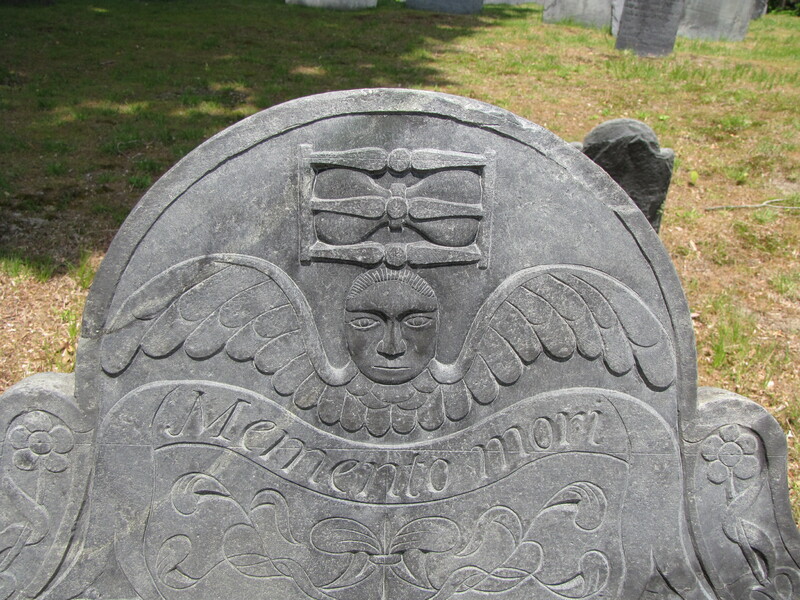 The “cherub” on Mrs. Fletcher’s gravestone looks stern and a bit foreboding. The iconography represents the flight of the soul from the body upward to Heaven and the hope of the resurrection. In this motif the wings give flight not only to the soul but to time.